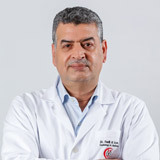 Dr. Elias finished his medical training in Damascus University and received a Diploma of Doctor in Medicine in 1991. 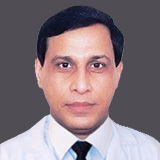 He completed his internal medicine training in Cleveland, Ohio in the United States of America and received the American Board of Internal Medicine certificate in 1998. 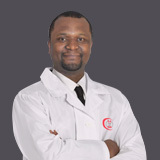 Dr. Elias is member of the American College of Physicians since 1999. 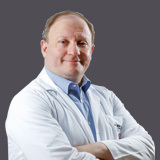 Dr. Elias worked in General Internal Medicine in the United States of America for four years after receiving his board certification, and later moved to the UAE where he was employed for 2 years in |Al Ain before joining Al Zahra Hospital Sharjah in 2005. 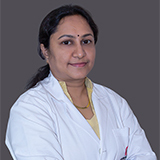 Dr. Elias’s expertise is in the management of inpatient and outpatient complex general internal medicine diseases, and the diagnosis and treatment of digestive and respiratory diseases. 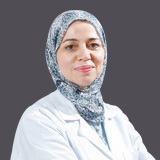 Dr. Elias speaks Arabic, English and French.